Get Online Sardinian lessons from our Personal Language Tutors through Skype to increase your opportunities for career, travel, business or friendship! Sardinian is a Romance language spoken by the inhabitants of the island of Sardinia located on the west coast of Italy. This language is the most conservative of all the Romance languages and has still preserved the original peculiarity of the Latin language. The Sardinian language, or “Sardo”, is -a remarkably rich language. It is fragmented into numerous dialects that vary greatly from area to area, even from village to village. The major dialects are: Campidanese, Logudorese, Sassarese and Gallurese. Each has their own literature although the Limba Sarda Comuna (common language) has been created in an attempt to unify them. Linguistically it is considered the closest to Latin. However Sardinian also shows influences of Arabic, Spanish, Catalan and Ligurian, which bear witness to the island’s rich history. Whether you have a business trip or vacation planned to Sardinia, learning a few words can enhance your travel experience. In Sardinia outside of the cities English is not widely spoken. Learning Sardinian will help you explore Sardinia more independently, especially the country side. 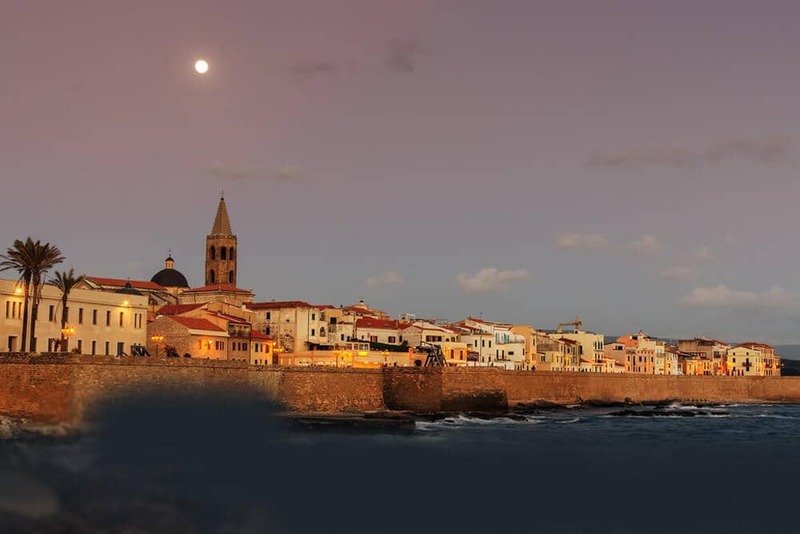 If you are planning to tour Sardinia and looking forward to immerse yourself in the art, architecture, music and cuisine – it will be a huge advantage to learn how to speak a bit of Sardinian. Sardinians are friendly and polite with a strong sense of tradition and a passion for their island. Learning Sardinian will help you connect with locals and gain a better insight into the culture and traditions of the island. Also speaking a few words in Sardinian will help you to strike a better deal while shopping for souvenirs. Learn Sardinian Online with our Experienced Native Tutors through Skype to find friendship and love or to travel and experience the exquisite culture or to teach Sardinian to your children. Are you looking forward to learn Sardinian language? There are many ways to learn Sardinian. You can learn Sardinian by enrolling in a language class, hire a private tutor or learn from books and CD’s. But the most effective way to learn a language is through online language courses. Online learning has become a popular choice among many people to learn a foreign language from the comfort of their home or office. In fact it is the most viable option to learn the language when compared to other traditional form of learning. In today’s busy world people with little time to spare find online learning a convenient option to learn a language which not only is very efficient but also very cost effective. If you are looking to learn Sardinian online, then join our online Sardinian language classes through Skype. From beginner to advanced, we offer personalised Sardinian lessons by native tutors via Skype anytime anywhere. We provide lessons at all levels and focus on all aspects of a language from grammar to vocabulary required for spoken and written Sardinian. Our professional qualified native tutors provide you with the optimum learning experience by combining their language teaching skills with the latest technology. Through our one to one instructions you can choose to spend as much or as little time on a topic that you may find interesting or difficult. All the lessons are tailored to suit your learning needs and objectives. Also given the flexibility of our classes, they are ideal for working people who need to schedule classes at different times. So no matter if you are a beginner, intermediate or advanced learner, join our online Sardinian classes today and learn the language in a fun and effective way! You can now take Sardinian classes one-to-one using Skype with a tutor of your choice. Our Sardinian lessons are custom, effective, comfortable, and fun. Pick a tutor NOW! Choose anything specific. Whether it is conversational Sardinian classes, business Sardinian lessons or just learning how to greet and impress a loved one. We can help you with them all.